The site promotes drag racing, bike rallies, car shows, and many kinds of events between March and November of each year. 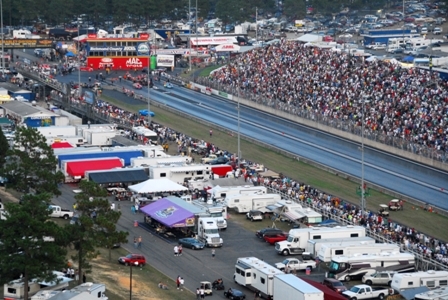 It is home to the PDRA National races, NHRA?s Southeast Division, Carolina Model Drag Racing Series, the Mickey Thompson Adams Performance MIRock drag bike series, and the SuperChevy car show. In addition, the track has hosted several inaugural series this year, The World Outlaw Grudge Nationals, the National Hot Rod Diesel Association, and The Jim McClure All-Harley Race and Show.